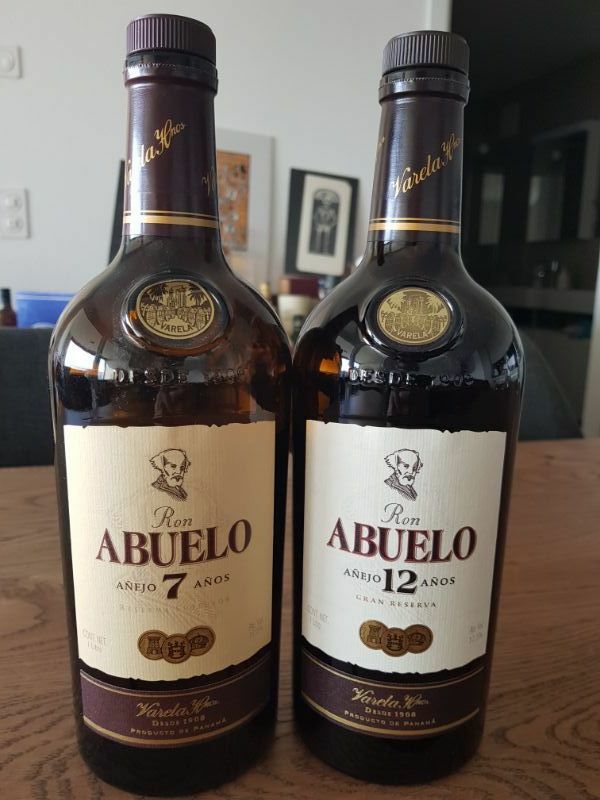 Have you found an online vendor selling Ron Abuelo Reserva Superior 7-Year? Ron Abuelo 7 Anos Reserva Superior is produced in Panama and is one of three rums produced in the Ron Abuelo line. As the name suggests, it has been aged for 7 years in oak bourbon barrels and is blended before being bottled. Quite a good rum, taste of hazelnuts and toasted bread. Very smooth mouth. My girlfriend who usualy doesn't like rum but really apreaciates whisky loved it. So if you want to bring a whisky fan to the wonderful world of rums... This one is a great starting point! 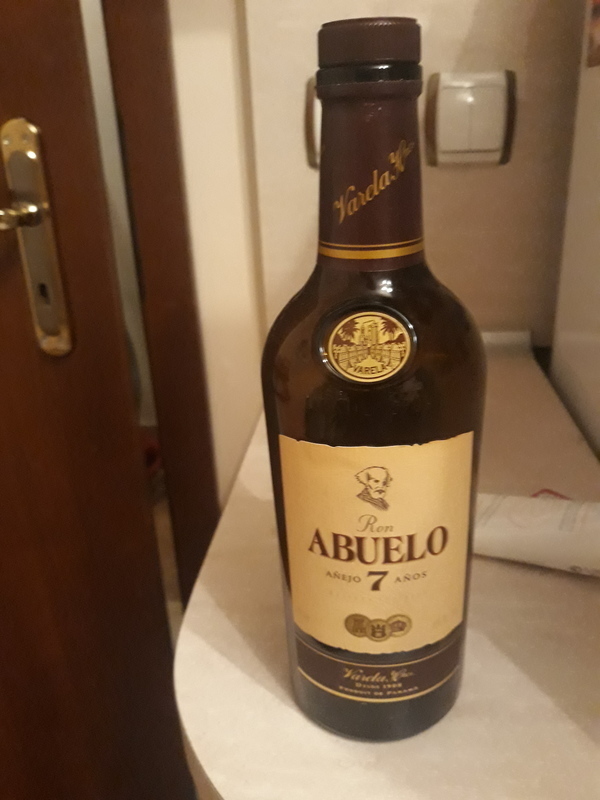 I think that Abuelo 7 years is really smooth and sweet, spicy tasting rum. Hint of choclate. And prize is pretty low. This is one of the truly wonderful rums you can get without breaking the bank. The funny secret is it is cheaper but somehow slightly better than the Abuelo 12 anos. I've met others that agree, it has a smoothness that its older brother lacks. Perfect with a dash of seltzer and a squirt of fresh pineapple juice. Not a great nose but I love the mouth. Nose Israel syrupy with aromas of woods. Mouth is smooth with a very good blend of spicies. Very aromatic, with a good dry/sweet balance. Coffee is the stingiest note but has also some vanilla and something else, some herb which I like but can't tell what it is. good balance and a good rum. This is the second rum from Abuelo that has proven excellent. A well balanced nose with vanilla, caramel and some sweet (dried) fruits. The taste even gives way to some faint cocoa notes. Also quite a pleasant toasted finish. Considering the price level in the Netherlands of just over 20 euro's it's one of the better deals on a rum available. Good choice, smooth rum, in Abuelo chart in the middle. I will admit that i only tried a sampler of this rum. My memories recall a decent experience, with some melasse sweetness, and a slightly dry tobaco finish on a medium body. One of my go to day-to-day rums, and one that I bring to friends instead of wine. Mixes well and also nice over ice. This is my wife's favorite. Even though I am constantly trying new rums, she always comes back to this. Aging gives this Panamanian rum a host of flavors. Smooth mouth with nice blend of spices. Creamy with a little hint of vanilla at the end. Has a heavy Sweetness and good power. Not too much at all. With a hint of orange. Very good compared to the price. So there I am, standing in the Rum isle of the liquor store looking for a good rum as I was all out at home. There wasn't what I'd call a great rum amongst the lot of them. I then I see this rum and it has a little write up with it and rating that it's been given. It's a little pricey, $58.00 ish, but if it's as good as they say I don't mind paying for it. On my first sip I was extremely disappointed. Not much nose and it's BITTER to the taste. At the time I wasn't even sure I would finish the entire bottle. However eventually I did and in the end I didn't mind it as much as when I first tried it but not enough to spend that kind of money on it. I believe this is the best product they have. Great for mixing. It tastes like no other. The more aged abuelo rums are better than this one. I may be in the market for a $100+ bottle of rum as a celebratory rum due to something that may be coming up for me. In the discussion area I asked for recommendations and Ron Abuelo Centuria was recommended. Unfortunately no one locally has that in stock and the best I could find was the 7 Anos Reserva Superior. So I picked up a bottle to try. I will say up front that I find this one of the best values for rum. Definitely a fine rum that could be sold for double the price. Right off the bat I noticed the rich aroma in the bottle. Sipping some revealed a very noticeable sweetness...perhaps too sweet for some...however it is balanced with a multitude of flavors that sadly my uneducated palate cannot identify. However after the slow, rather mild burn (yes, it is a smooth rum) faded, I could detect some caramel to it. And that tempts another sip. This rum is a bargain and should be a required addition to any rum cabinet. A "must have". Extremely versatile as well. man schmeckt den unterschied nur im direktvergleich von abuelo 7 und 12 anos. für mich nur zum mixen sonst sind sie mir zu wenig süss und leicht bitter. abuelo hat ein sehr eigner geschmack schmekt man auch sofort aus einem gemixten drink raus das abuelo drin steckt! in mixed drink mag ich ihn sehr gern! I wasn't impress. Just ok. It was a present so i font know if is eorth it the price for it. Nice and smooth. Much better tbat you would expect from 7y old. Big step up from Anejo, but not so complex and shorter aftertaste vs 12y. Pure Panamanian paradise! Currently, this is available in Ontario Canada. Well worth the money! Abuelo is one of the few distilleries in the world that uses sugar cane from their own plantations. This Panamanian rom is one of the most appreciated in the world and is famous for its very soft texture and its very supple and friendly body of flavors. 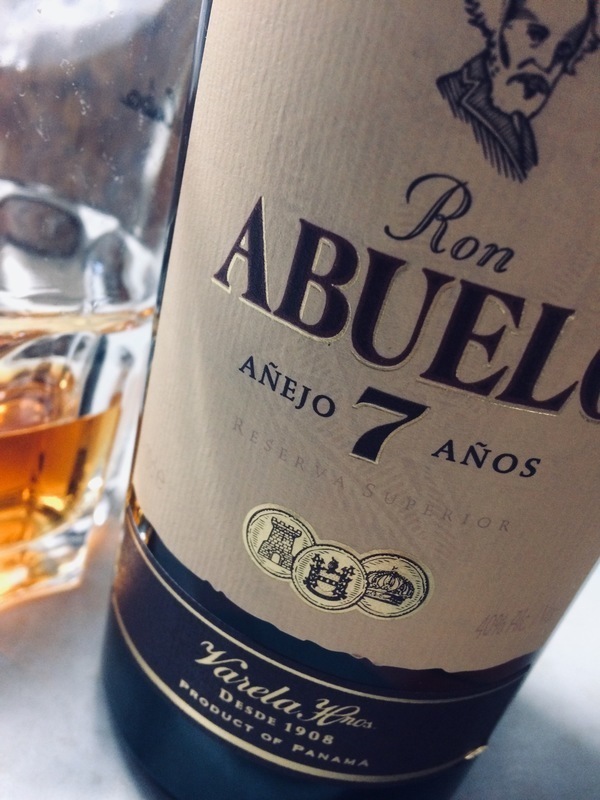 Sedmiletý Ron Abuelo Añejo 7 años je výsledkem vášně vyrábět ten nejlepší rum añejo. Vyráběn je fermentací melasy a po dobu 7 let se nechává zrát v malých sudech z bílého dubu, s odbornou péčí právě pro tento produkt. Tropické podnebí a přesná kontrola mistra rumu, během let rozvíjí jemné, vytříbené aroma a znamenitou chuť. This is a solid rum. Not sweet or over flavoured but it gives a smooth nose and taste. At the end it gets a bit tang just to become more unique!